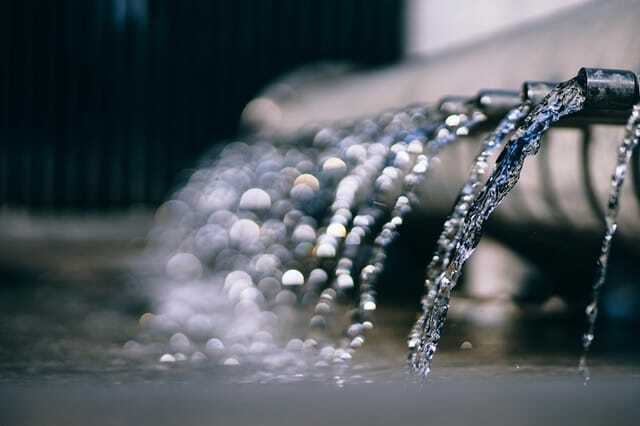 (Sutter Creek) A long-term plan to provide more reliable, high quality drinking water to homes in Lake Camanche Village moved forward when AWA Directors adopted environmental documents for the Camanche Area Regional Water Supply Project (Phase II). Lake Camanche Village currently relies on a troubled well system for drinking water to over 700 customers. AWA partnered with East Bay Municipal Utility District (EBMUD) and Calaveras County Water District (CCWD) in a joint study (completed in 2013) to bring treated Mokelumne River water from a new EBMUD Camanche South Shore Water Treatment Plant to homes in the Camanche area. The first phase of the project resulting from the study primarily affects EBMUD customers and is currently under construction. Expanding the project to serve Lake Camanche Village customers is the second phase of the project, and serving CCWD customers would be the third phase. In Phase II, Pardee Reservoir water would be piped from EBMUD’s water treatment plant and blended with AWA’s Camanche system well water, improving the area’s water quality and supply reliability, and reducing the Water Agency’s reliance on the local groundwater supply. AWA Directors adopted a Mitigated Negative Declaration following a study of potential environmental impacts of construction of Phase II. Agency staff is currently investigating funding options for construction of the project through California Drinking Water State Revolving Fund, with a focus on grant funds that would not have to be paid back. Also at last week’s AWA Board meeting, AWA Directors reviewed a Draft Environmental Impact Report needed to complete the Water Agency’s application with the state to increase the water right permit for the Upcountry CAWP water system. The application asks to transfer 1050 acre-feet of Mokelumne River water per year, currently allocated to Jackson Valley Irrigation District, to the Amador Water Agency. The transfer will occur gradually as it is needed for Upcountry users. If approved by the state, the transfer will double the amount of water that can be stored for the Upcountry system from one year to the next and help Amador County prepare for future droughts and climate change. The Draft EIR was produced by RMC Water & Environment and is available for review at the AWA office and at www.amadorwater.org. Comments are due by 5:00 pm on June 16, 2017, to the Amador Water Agency, 12800 Ridge Road, Sutter Creek, CA 95685 or to gmancebo@amadorwater.org. And finally, AWA Directors moved to implement an inflationary adjustment to water rates — an increase of about 75 cents per month for a typical residential customer — effective with July 1, 2017, water usage. The option to increase rates if necessary due to inflation was adopted by the Board on July 21, 2015, and is based on changes in the Consumer Price Index. According to law, water rates cannot exceed the cost of providing water service, and the rate change does not affect debt service charges paid by various water systems within AWA. Customers will receive a notice of the upcoming adjustment in their June and July water bills.